The restaurant occupies this 116-year-old house. 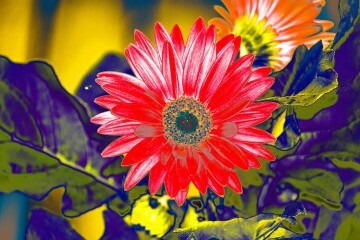 Photo by Joe Riebling. 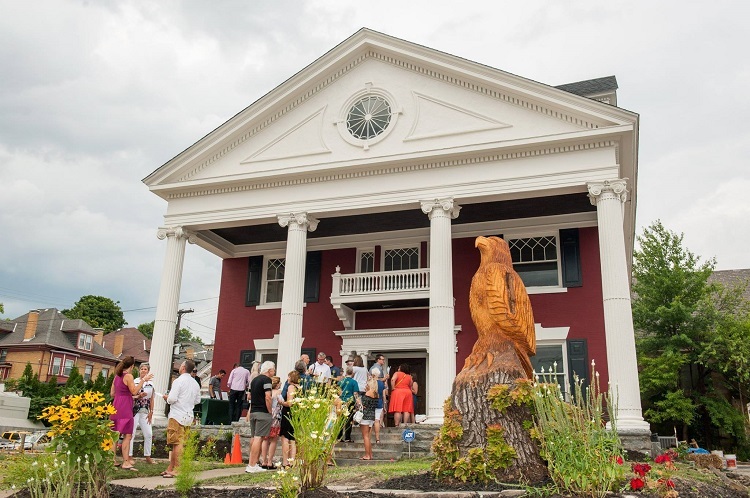 The restoration of a former funeral home is breathing new life into Bellevue. When Revival on Lincoln opens Sept. 15, it’ll serve upscale American cuisine and cocktails. 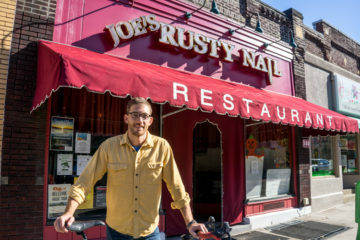 But to owner Christopher Driscoll, the 116-year-old building is more than a restaurant: It’s a community center. Built in 1902 as a single-family home, the 5,000-square-foot, three-story structure sat vacant on the corner of Lincoln and N. Freemont avenues for years. Driscoll dabbles in the restoration of historic properties and bought the building in 2017 with the idea of transforming it into a bed and breakfast. King, a retired chef who ran the kitchen at Allegheny Country Club, suggested he open a restaurant where all Pittsburghers could experience the grandeur of the big, red mansion, which will soon be listed on the National Register of Historic Places. 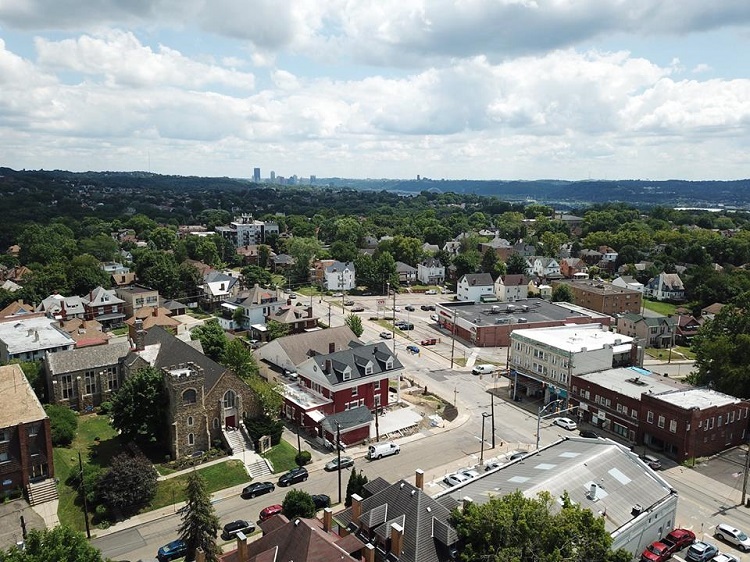 Bellevue Borough is located five miles from Downtown Pittsburgh. Photo by Christopher Driscoll. In April, it began taking shape: Crews, including local volunteers, began clearing away decades worth of brush from the yard, gutting the building, and replacing the plumbing and electrical systems. They added ADA-accessible restrooms, a brand new kitchen and a white marble bar. Driscoll says they are trying to preserve the Classical Revival architecture and original decor — everything from stained-glass windows and gas fireplaces to velvet flocked wallpaper. Once completed, each of the first-floor dining rooms will have a different feel to it. There is also a large upstairs space for private parties. On the side of the building, there is a patio and a small, one-room structure that will offer additional seating. Executive chef Jamie Sola, who most recently worked at Southern Tier Brewing Co. on the North Shore and at Allegheny Country Club, is busy preparing a gourmet menu of seafood, steak and pasta dishes. Dinner will be served Tuesdays through Saturdays from 4 to 10 p.m., with brunch offered on Saturdays and Sundays from 10 a.m. to 2:30 p.m.
On a recent Saturday morning, Bellevue was buzzing with activity. Cars cruised by on Lincoln Avenue. People out for a stroll stopped to snap pictures of the mansion. The mailman stopped by to inquire about making a dinner reservation. Driscoll says the enthusiasm for the project is contagious, noting that at least 10 businesses have opened in the borough since it started. The boom in the business district is attracting new people to Bellevue, which is just five miles from Downtown.